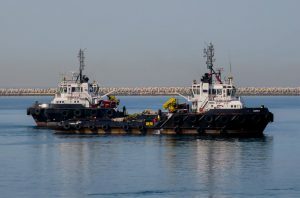 AHT WASSAY and AHT HAMZA, 27 Jan 2019, Dubai. 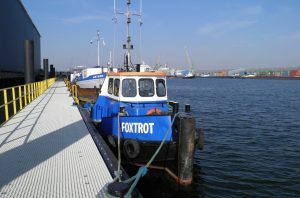 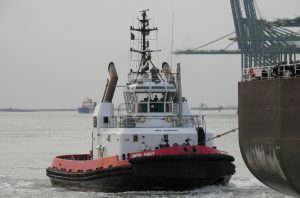 WASSAY is a Damen Stan Tug 4011 and built in 2003, has two Caterpillar 3516B TA diesels with an output of 4000 bhp and a static bollard pull of 58.5 tonnes. 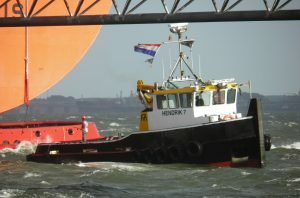 HAMZA is a Damen Stan Tug 4511 and built in 2005, has two Caterpillar 3608 TA/MC diesels with an output of 7268 bhp and a static bollard pull of 100 tonnes. 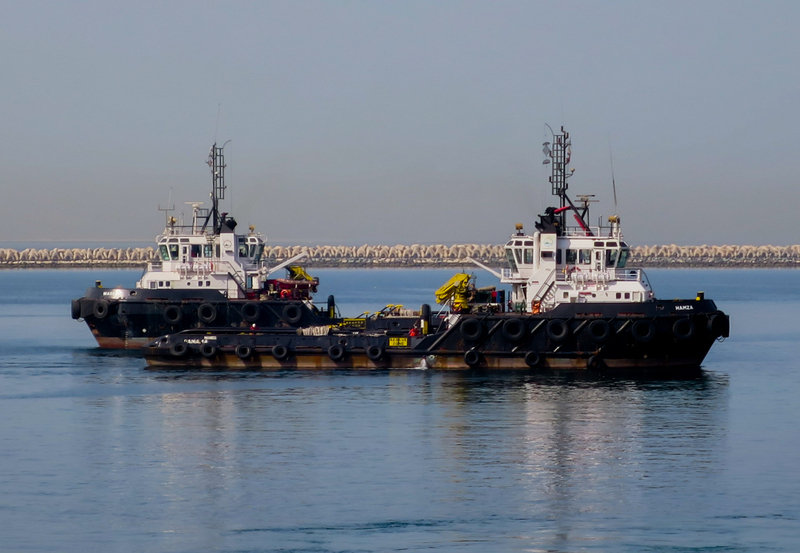 Both vessels were delivered to Gulf Services Office (GSO), Abu Dhabi. 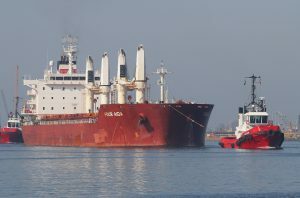 Four Aida, Braakman, Union 6, Union Ruby, Star II.